"Brilliant..... can't believe that no-one has designed one of these before!" 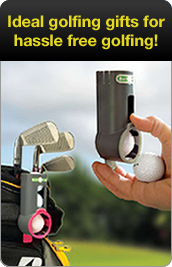 "...especially popular with Corporate clients...."
"....Ingenious new device... fast, one-handed action..."
An ingenious new Patent Pending product called BallKaddie™ is set to impose order on golf courses worldwide enabling golfers to store, carry and access their golf balls at the touch of a finger tip. 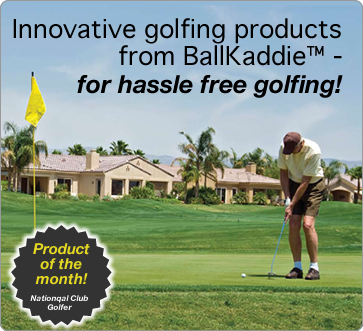 Over 30 years of commercial experience and a passion for golf has been invested in the design, development and launch of BallKaddie™.